Margarita Vinagre Laranjeira is an Associate Professor at Autónoma University of Madrid where she teaches English Language and Linguistics. Her main research interests are the integration of technologies in the foreign language classroom, computer-mediated communication, and the implementation of intercultural exchanges for the development of linguistic and generic competences. She has published widely on these topics and is currently the coordinator of the TELNETCOM project on the integration of technology in higher education, with 20 participating researchers from 5 countries. 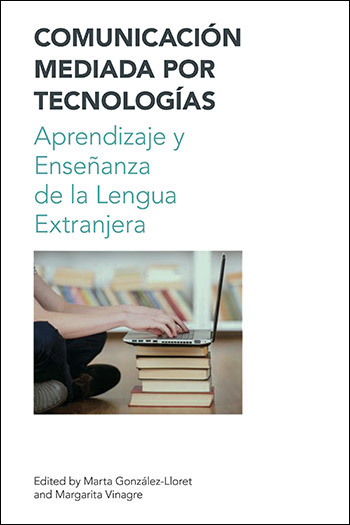 This Spanish language volume (English translation of the title: Technology Mediated Communication: Learning and Teaching Foreign Languages) responds to the needs of Spanish speaking practitioners in the area of Second and Foreign Language Learning who are interested in integrating technologies in the classroom but may not be fluent readers of English. The volume offers a balance between chapters of pedagogic and of research nature which covers the main areas of technology-mediated communication, including different technologies, methodological perspectives and language learning goals in different educational settings. It provides a tool to encourage practitioners to engage students in virtual communication by offering examples of best practice and current research studies on the uses of computer-mediated communication for language learning that have been gathered from different countries, educational contexts, and institutions. This Spanish language volume (English translation of the title: Technology Mediated Communication: Learning and Teaching Foreign Languages ) responds to the needs of Spanish speaking practitioners in the area of Second and Foreign Language Learning who are interested in integrating technologies in the classroom but may not be fluent readers of English. The volume offers a balance between chapters of pedagogic and of research nature which covers the main areas of technology-mediated communication, including different technologies, methodological perspectives and language learning goals in different educational settings. It provides a tool to encourage practitioners to engage students in virtual communication by offering examples of best practice and current research studies on the uses of computer-mediated communication for language learning that have been gathered from different countries, educational contexts, and institutions. The main objective of this chapter is to offer a general introduction to computer-mediated communication (CMC). It starts by presenting a description of CMC as well as its main characteristics. It then focuses on the uses that CMC has in the second (and foreign) language classroom by analyzing benefits and challenges that CMC has for participants; both teachers and learners. The following section expands on the concept of virtual collaboration or telecollaboration as a type of CMC activity for language learning and development of generic abilities in education. The chapter also introduces each of the contributions to the volume and highlights connections among them. Finally, the limitations of the volume are acknowledged and possible topics for future research that contribute to the growth of the field are suggested. With the emergence of Web 2.0 social tools, collaborative writing—in which two or more people work together to produce a document with group responsibility for the end product (Bosley 1989)—has gained broad acceptance in foreign language education (FL). Mostly framed within the principles of sociocultural theory, current research has examined the quantity and quality of text (Arnold, Ducate and Kost 2009; Kessler 2009; Lee 2009; Oskoz and Elola, 2010), the sense of authorship (Lee 2009), writers’ writing processes (Arnold et al., 2009; Oskoz and Elola, 2014), the accuracy and complexity of learners’ produced texts (Arnold et al. 2009; Kessler 2009; Oskoz and Elola, 2014), and learners’ reorientation and development of a shared perspective regarding the task at hand (Oskoz and Elola 2012, Oskoz and Elola 2013, Oskoz and Elola 2014). Collaborative writing, however, cannot be understood without clear insight into social tools’ affordances—those actions that can be performed because of the specific characteristics of the tool (McLoughlin and Lee 2007). Different combinations of tools such as blogs, wikis, discussion boards, or chats can have an immediate impact on writers’ focus on different but complementary aspects of the writing process (Blin and Appel 2011; Elola and Oskoz 2010a). This chapter thus provides an overview and challenges of current research on collaborative writing in relation to these social tools and offers a phased-pedagogical approach for its implementation in the FL classroom with the aim of helping FL researchers, educators, and administrators gain a better understanding of the benefits and challenges associated with collaborative writing when using diverse social tools. This chapter showcases how CLIL (Content and Language Integrated Learning), EMI (English as a Medium of Instruction), and CMC (computer-mediated communication) can dovetail to become an effective tandem not only in realigning foreign language (FL) teaching with the latest trends in language pedagogy, but also in developing the linguistic skills and components. More specifically, it will focus on the use of CMC within the CLIL classroom to develop written interaction. After framing the discussion against the broader backdrop of both concepts under scrutiny –CLIL/EMI and CMC-, which it will define and characterize, it will go on to illustrate how they conflate in their underlying rationale. It will then canvass the main studies hereto conducted in the bilingual classroom at all educational levels to develop written interaction through CMC. After expounding on the advantages of the conflation of CLIL/EMI and CMC, practical recommendations will be provided for their future incorporation in the bilingual classroom. The ultimate aim is to base pedagogical decisions on empirical evidence in order to guarantee a success-prone implementation of two current trends on the FL education scene and which can greatly contribute to the improvement of written interaction. Ana Sevilla Pavón is Assistant Professor at the Department of English and German Studies at the Universitat de València, Spain, researcher in the IULMA, and coordinator of the iTecla project. She has published in international academic journals, in several books and edited volumes, and has presented in numerous conferences on applied linguistics and language learning. Her research focuses on the impact of technologies on language learning and on intercultural contexts. Ana Gimeno Sanz is Full Professor of English Language in the Department of Applied Linguistics at the Universitat Politècnica de València (Spain). She is Head of the CAMILLE Research Group, devoted to research in computer-assisted language learning (CALL). She has published numerous research articles and book chapters on CALL, languages for specific purposes (LSP) and content and language integrated learning (CLIL). She serves on the editorial boards of two of the major CALL journals, i.e. 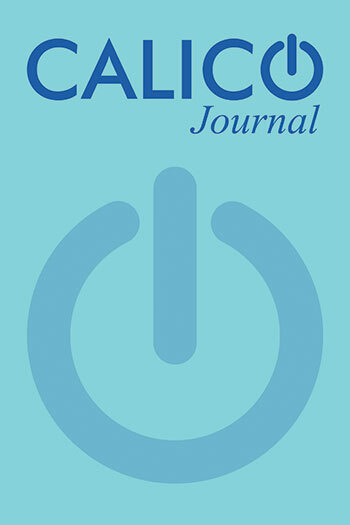 ReCALL (Cambridge University Press) and Computer Assisted Language Learning (Taylor & Francis) and is editor-in-chief of The EUROCALL Review. She served 6 years (2005-11) as President of EUROCALL, the European Association for Computer-Assisted Language Learning) and is currently President of WorldCALL, the world organization for CALL. This chapter describes a methodological proposal combining two teaching approaches, i.e. telecollaboration and digital storytelling. The proposal contributes toward enhancing both team work and language learning by means of conducting a number of activities leading to the creation of a digital story by applying online telecollaboration methods. The tasks focus on designing an innovative product to be exhibited in a business fair, as well as having to make decisions in order to attract funding to enable the development of the product and commercialise it in their counterparts’ trade market. The underlying approach implies putting into practice active learning and teaching methodologies, and language learning techniques that help the learner become involved in the process leading to acquisition of the target language and its culture, whilst simultaneously promoting the use of technology to support learning-by-doing in authentic situations by collaborating with fellow students who belong to the culture of the target language. In addition, creating digital stories allows students to author the actual resources that are to be used for learning purposes and it facilitates cultural awareness in a more contextualised and in-depth fashion by encouraging fellow counterpart students to be the prime sources of information and, thus, ambassadors of their country, language and culture. María Jordano de la Torre is Assistant Professor at the Department of Foreign Languages and Linguistics at the National University of Distance Education (UNED) in Madrid, Spain. Her doctoral dissertation focused on teaching and learning of English for specific purposes (ESP) through computer-mediated communications (CMC). Her research still focuses on technology. She is part of the ATLAS (Applying Technologies to Languages) research group. Pilar Rodríguez Arancón is Assistant Professor at the English Philology and Linguistics at the National University of Distance Education (UNED) in Madrid, Spain. She teaches graduate courses focused on new technologies. She investigates the influence of culture on the teaching and learning of English. She is part of the ATLAS (Applying Technologies to Languages) research group. Distance education offers the possibility to continue their studies to adults with other family or work commitments. However, learning foreign languages is a complex matter when there is no possibility of real interaction. One of the problems that students of the UNED encounter, in the case of our courses, is the difficulty to improve production and oral interaction in a foreign language, despite all our focus being directed to the peculiarities of this form of learning. The oral aspect has been greatly improved nowadays in distance courses with the use of CDs and audiovisual material, which are part of our virtual courses. Assessing comprehension and oral production can also be carried out by platforms designed for that purpose. However, all these mechanisms are rather static and passive from the point of view of the student. To the difficulties for the improvement of oral language skills must be added the complexity of the acquisition of transversal and specific competences related to Professional English and highlighted by Bologna’s Guidelines. This article presents the results of a case study based on Synchronous Computer-Mediated Communication (SCMC) in a teaching innovation project. The objective was to ensure that our students interacted orally with people of other nationalities using the only language they had in common, English, in order to create tourist routes between different areas of the world with which they were working directly. As a result, the data obtained shows an improvement in the marks achieved by the students in their exams after taking part in these collaborative exchanges. Five years later, the participants were contacted again in order to gather their perceptions about how this experience had influenced the level of oral competence that they display on their own working environments. Kristi Jauregi is Associate Professor and researcher at Utrecht University, The Netherlands. Her main area of research is computer-assisted language learning (CALL), particularly telecollaboration through synchronous tools. She has started and coordinated several innovation projects (NIFLAR and TILA) and has participated in the Euroversity project, all financed by the European Commission. Silvia Canto is Assistant Professor at Utrecht University, The Netherlands. Her research focuses on telecollaborative tools, specially video-communication and virtual worlds, in language learning programs. She has participated in European projects such as NIFLAR, Euroversity, and TILA, and her work at these projects has been published in several academic journals and book chapters. In a highly digitized society, as the present one, the use of technology is available to all and is gradually permeating the education sector. In this continuous development of digital innovation, three-dimensional virtual worlds appear to offer excellent opportunities to enrich foreign language teaching through play, action and interaction beyond the walls of the classroom. In this chapter we propose to unravel those aspects that make virtual worlds a motivating environment, low in anxiety and rich in learning opportunities, and we offer pedagogical guidelines for their integration in the curriculum of foreign languages. Karina Collentine is an Associate Professor of Spanish Applied Linguistics and coordinator of the Language Education program at Northern Arizona University. Her current research interests include TBLT and technology, computer-mediated communication, and applied linguistics. Her recent publications examine tasks set in virtual worlds and the production of linguistic complexity and accuracy that learners generate in these tasks. The chapter discusses the relationship between CMC and the production of linguistic complexity in the context of tasks, which are defined as being based on the real world, which revolve around a non-linguistic goal, and which have the completion of the task as a priority. The tasks discussed in the chapter follow task-based language teaching (TBLT) principles (Skehan, 1996). These tasks entail a segment where learners use a virtual world as the backdrop for the task followed by a segment where they interact in synchronous-computer mediated communication (SCMC) to complete the task (Collentine, 2010, 2011, 2013, 2016). The discussion focuses on the finding that a complicated connection exists between affordances (i.e., opportunities to learn) in the 3D world and learners’ production of linguistic complexity in the SCMC segment. Learners freely explore a contextually-rich virtual world, reading linguistic clues that they use to solve a murder-mystery or a missing-persons case. The research shows that learners’ self-determination (i.e., exploring and re-exploring clues set in the 3D world), their reading behaviors (e.g., amount of time spent reading), and linguistic features of the input (e.g., number of words, lexical density, syntactic complexity) have an important effect on the accuracy and linguistic complexity of their output during the SCMC segment. Learner production is analyzed based on measures common to TBLT research: linguistic complexity and accuracy. There is also evidence that learners converge (i.e., prompt each other) to produce linguistic complexity during the SCMC segment independently of their virtual-world affordances (Collentine & Collentine, 2013). The chapter concludes with suggestions for future research. Mª Camino Bueno-Alastuey is Associate Professor at the Public University of Navarra, Spain. She teaches English teaching methodology courses related to ICT for learning and teaching foreign languages, and courses on English for Specific Purposes. Her research focuses on computer-assisted language learning, especially in blended learning design and implementation, the use of virtual learning platforms and synchronous voice-based computer-mediated communication. She has published nationally and internationally on these topics. Computer Mediated Communication (CMC) is currently used in Second and Foreign Language classroom because of its benefits for language acquisition. However, research in CMC is still scarce. In this chapter, we try to corroborate previous findings (Bueno-Alastuey 2013) analysing data from a previous interaction between the same interlocutors (three types of dyads: NNS-NNS same L1, NNS-NNS different L1, and NNS –NS). Five of the six research hypotheses based on our previous work were confirmed. The partnership with NNS with different L1 was confirmed as the most beneficial in terms of Language Related Episodes, quantity and type of negative feedback and quantity of modified morphosyntactic and phonetic output. The integration of virtual collaborative exchanges in the foreign language classroom is becoming a popular practice for practitioners who wish to help their students improve a foreign language but also develop other skills and competences necessary for their personal and professional lives. These exchanges, when carried out worldwide, involve engaging students in international communication and project work with partners of different cultures located in distant locations. Research has also shown the potential of this activity for developing language skills and intercultural competence (Belz 2004; Vinagre & Muñoz 2011), learner autonomy (Fuchs et al. 2012), pragmatic aspects through social relationships (Kinginger 2000) and multiple literacies (Guth & Helm 2011). However, implementing virtual collaborative exchanges can be very challenging (Vinagre 2015), since teachers need to ensure that students develop dynamics that lead to successful collaboration. In order to discover what kind of behaviours (also linguistic) facilitate virtual collaboration in experiential learning environments, in this chapter we explore the data gathered from a group of three in-service teachers who were trained online over three months. Quantitative and qualitative analyses of participation, interaction and linguistic (politeness) resources suggest that the teachers granted more importance to fostering social interaction than to task completion. This interaction was characterized by constant participation, prompt responses, regular group discussion, relevant contribution within deadlines and commitment to the task (shared responsibility). As regards the analysis of linguistic behaviours in interaction, findings suggest that the teachers used mostly positive politeness strategies. These strategies facilitated the development of close and friendly relationships as the basis for reciprocity and mutual trust, both essential aspects for successful collaboration. The use of technology, and in particular the almost ubiquitous use of social media, has long been of interest to academics. In particular, there has been a significant increase in studies on the connection between digital media and new opportunities to advance the theories and educational practices necessary for 21st century society. Indeed, there has been such an increase in the use of Computer-Mediated Communication (CMC) and other digital communication through mobile devices that nowadays it is considered to be ‘standardized’ practices in the personal and professional lives of most. Parallel to this increased presence of communication technology in everyday lives, educational initiatives that use these advances have also become more frequent in the classroom, in particular in foreign language teaching. Along these lines, this chapter explores the links between the use of CMC and ‘new’ concepts of knowledge, such as socially-distributed cognition, specifically in the field of foreign language teaching and teacher training. At the end of the chapter there is a brief summary of a teacher training program that integrates several domains of interaction through CMC: telecollaboration and flipped classes, carried out in conjunction with in-class (face-to-face) activities. The case study serves to delineate some of the parameters that must be taken into account to meet the constantly evolving needs of students in today’s interconnected world. In our globalized world where more people establish relations, conduct business, and interact in their daily lives with people from other cultures and languages, sociopragmatic competence is essential. Another product of globalization is the transformation of technology-mediated communication (TMC) in the main form of personal, professional, and business communication today. It is therefore of great importance that we understand the pragmatic rules involved in TMC and whether these are similar for native speakers and learners of a foreign language. This chapter reviews existing research in several areas of pragmatic acquisition and technology, focusing on results of existing research on development of pragmatic competence when mediated by technologies to answer the question “is it possible that technology helps develop pragmatic competence in an L2?” Finally, several examples of technology-mediate pedagogic implementation to promote pragmatic competence are presented as well as suggestions for future research in the field. Lourdes Ortega is a Professor at Georgetown University, USA. Her main area of research is in second language acquisition, meta-analysis and user-based theories in multilingual development. Her work has been published in journals such as Applied Linguistics, CALICO Journal, Language Learning, Language Learning & Technology, Modern Language Journal and System. Her publications include the book Understanding Second Language Acquisition (Hodder, 2009) and several collections with John Benjamins and Routledge. She is the former editor of Language Learning and serves on the editorial boards of several other journals. Extending the research gathered in the book, this chapter proposes four areas in which future research can help the field of CMT-mediated language learning and teaching achieve a larger scope and impact: (1) the systematic examination of digital and affective benefits in addition to linguistic benefits, (2) greater attention to primary and secondary school contexts, beyond the present focus on university contexts, (3) the inclusion of questions of social justice and equity by considering new digital divides that are created by socioeconomic differences, immigration flows that engender human diversity in schools, and diverse learners with differences in physical and/or cognitive abilities, and (4) investigation of the impact of bridges and connections between technology in the language classroom and in the outside world. Venturing into these four directions in the study of technology for foreign language teaching and learning, it is argued, can sustain growth in transformative and innovative uses of technology for the kinds of language learning that can become a human and social asset in today’s multilingual world.